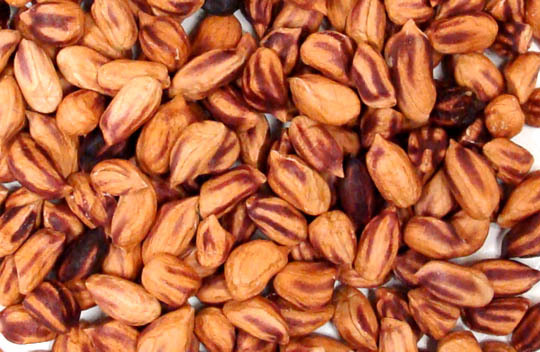 Item #0442: These heirloom peanuts are quite possibly the ancestors of the commercial nuts grown today. And the flavor? Subtle yet rich, aromatic and earthy. They're also a nutritional revelation - containing all eight essential aminos, plus methionine, with a whopping helping of the beautifying oleic acid. And they're loaded with protein, heart-healthy mono-unsaturated oil, vitamin E, and much more. Unlike commercial peanuts, ours are free of aflatoxin; plus, they're a sustainable rainforest product, harvested by indigenous peoples.